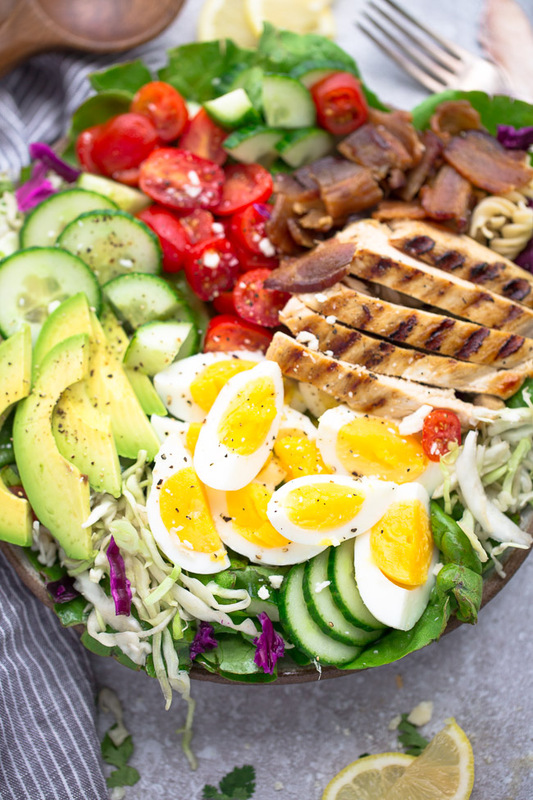 Cobb Salad is a classic favorite and one of the salads I usually order when we’re out at a restaurant. 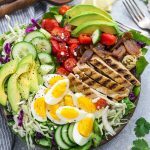 They are usually a pretty safe low carb and keto-friendly option depending on what dressing you pair them with. 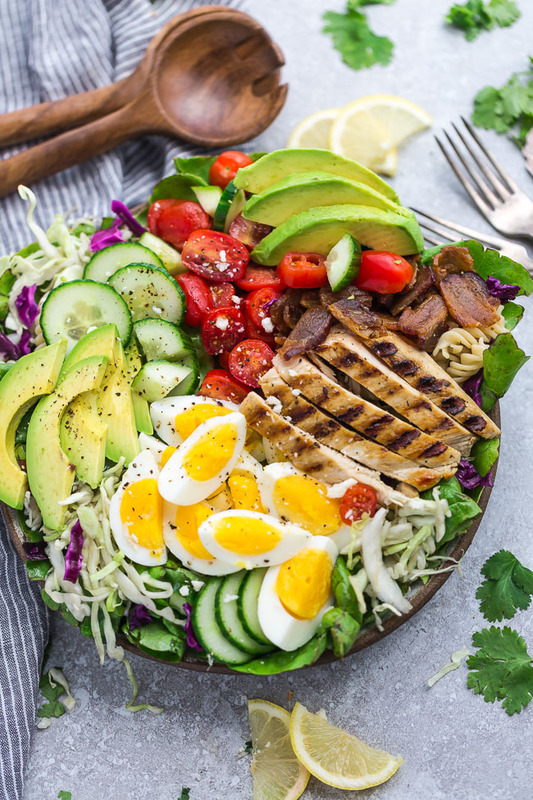 This Low Carb Chicken Cobb Salad is made with mixed greens, grilled chicken, Canadian bacon, hard boiled eggs, cherry tomatoes, cucumbers and avocado. 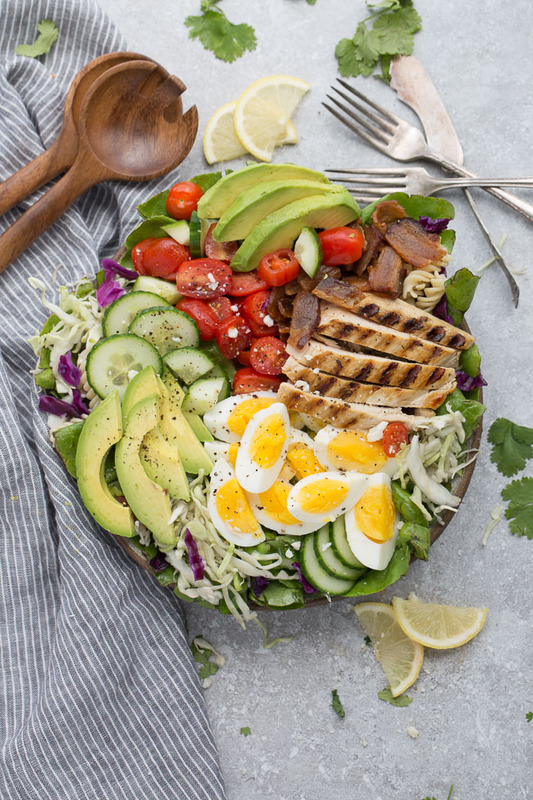 In a resealable zip-top bag add chicken, salt, pepper, balsamic vinegar and garlic and marinate for at least 30 minutes.